Wild Republic | We create toys that are naturally fun! We create toys that are naturally fun! 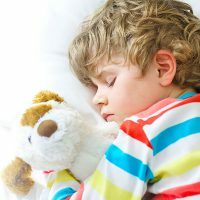 For nearly four decades, Wild Republic’s realistic stuffed animals and toys have helped children explore the beauty of nature. 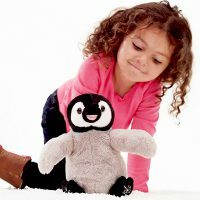 Our mission is to create toys that foster curiosity about wildlife and educate children about the wonders of nature. Wild Republic is the natural choice for young explorers everywhere. Rabbits have a small blind spot at the bridge of their noses and can see nearly 360 degrees around. Chickens are actually not the bird brains many people think they are. They can recognize over 100 individuals’ faces, learn from watching each other and worry about the future. Sand Sharks have pores underneath their nose that detect electric currents! The triceratops had a skull that reached up to 6 ft – or the height of an adult- in length. Female scorpions give birth to live young in litters that can range from 4 baby scorpions to 8 or 9 baby scorpions. As soon as they are born, the babies climb onto their mother’s back. 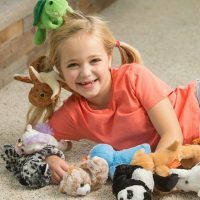 Over the years, Wild Republic has garnered praise from some of the top toy organizations in the world. Embark on an adventure to grow your imagination with Wild Republic. Learn interesting information about animals of all shapes and sizes with our Animal Facts. 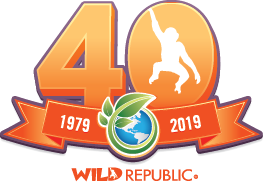 As a company committed to nature and conservation, Wild Republic strives not only to produce better toys for children, but also to create a world that’s filled with compassion, responsibility and understanding.